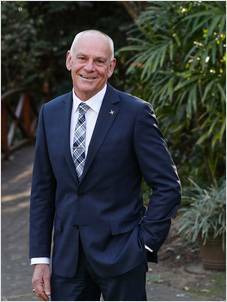 Peter, as Co-Principal with his partner Michelle and after many years providing advertising and marketing advice to some of Australia's largest property groups, leads the sales team at Laing + Simmons Miranda. Peter brings his creative advertising and marketing skills to ensure your property is presented in its most appealing manner and uses an extensive database of qualified buyers and sellers to ensure the best outcomes for all parties. Peter has a great deal of experience in negotiating and securing sales at the highest possible price in the quickest amount of time. Inaugural Recipient of the Doug Laing Memorial Award 2015 - Doug Laing, founder of Laing + Simmons, was a man of great integrity. His adherence to moral and ethical principles; soundness of moral character and honesty is reflected by the winner of this special award category. Peter currently holds a Real Estate and Auctioneers Licence as required by the Property, Stock & Business Agents Act (2002).